Group B Ivory Coast – Sudan – Burkina Faso – Angola Ivory Coast Widely regarded as Africa’s biggest ‘bottlers’ in recent times, The Elephants will be keen to detach themselves from that unwanted tag. Their last two Cup of Nations exits have been bitter pills to slow. Back in 2008 they were steamrolled 4-1 by Egypt, underestimating teams and ill-discipline were blamed for that defeat and, subsequently, the Ivorian FA appointed Bosnian authoritarian coach Vahid Halihodzic. In the 2010 finals, they thought they had clinched a victory lead 2-1 only to lose the game 2-3 in injury time. Halihodzic, who now manages Algeria, revealed there were divisions in the Ivory Coast camp after the defeat: "I would say that the team has great players, but it is not a great team.” Incumbent Francois Zahoui has continued the rhetoric leading up to the tournament stating that the Ivory Coast have a tendency to underestimate teams. Making their 19th African Cup of Nations appearance, the majority of Ivory Coast’s players play in Europe and need little introduction with the entire squad plying their trade in Europe. There is a core group of players with exceptional talent and are part of a so-called ‘golden generation’ – Didier Drogba and Salomon Kalou (both at Chelsea), brothers Yaya and Kolo Toure (both at Manchester City), Didier Zokora (Trabzonspor), Arthur Boka (Stuttgart), Gervinho (Arsenal), recently crown Russian Footballer of the Year Seydou Doumbia (CSKA Moscow) and Eboue (Galatasaray), to mention a few. 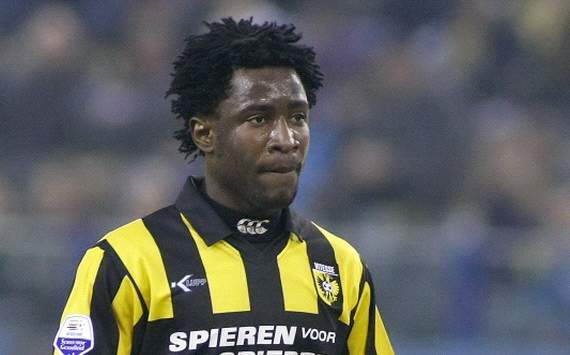 Wilfried Bony (Vitesse Arnhem) has made good contributions in recent matches for The Elephants and has been in a rich vein of form for Vitesse Arnhem in the Dutch Eredivisie with 9 goals in 16 games. Wilfried Bony - will he make an impact? The Elephants won 100% of their games during qualification, scoring more goals than any other team (19 goals) and only conceding 4 – although the Goalkeeper’s position continues to be a long-term weakness. Scoring goals shouldn’t be a problem and the team is the most complete team at the finals, but will they have the mental strength to overcome the daemons when the pressure is on? Prediction: For some members of the squad, they are on the wrong side of 30 and the opportunities to win silverware are quickly diminishing. Ivory Coast will not have a better opportunity to add to their solitary Cup of Nations title back in 1992, as they say at Royal Mail...it’s time to deliver. Winners. Ranked at 112th in the FIFA rankings, Sudan are the second lowest-ranked team in the tournament and qualified as the second-best of the runners-up. Sudan have not won a game at their last three Cup of Nations – their last win coming in the 1970 final itself, a 1-0 win over Ghana on home soil – and with one of the weakest squads in the competition coach Mohamed Abdalla, who’s commonly known as ‘Mazda’ throughout Sudan, has a huge task ahead of him. Sudan’s last appearance was in 2008 where they were the only side at the finals entirely consisting of locally-based players, their entire squad was plucked from just 2 teams – Al Hilal and Al Merreikh. Their tournament was one to forget as they failed to score while losing by three goals in each group game. The squad this time around contains a mixture of experience and youth but out of the 29 players provisionally picked, 22 are from Al Hilal and Al Merreikh. “Our team has been divided into two,” Mazda says, “I came with new players – especially from our U23 Olympic team – and a number of senior players.” The onus will be on the likes of veterans captain Haitham Mustafa and Haytham Tambal to provide the flair and the goals, respectively, while the players from the u-23 squad should inject energy on what was becoming an ageing squad – the omission of 37-year-old Al Merreikh striker Faisal Agab is noteworthy. The problem of only having locally-based players persists, however. The Sudanese league ended in November and will only start again after the Cup of Nations finishes, meaning Abdalla faces a struggle to maintain the fitness levels of the players. (But with a nickname like ‘Mazda’ you’d back him to drive up the fitness levels of the players. Sorry.) The highlight of their qualifying campaign was a 0-0 draw away to Ghana, but Ghana can struggle for creativity, so, as impressive as the result was, it has to be taken with a pinch of salt. Prediction: It’s hard to see Sudan being anything other than the whipping-boys of this group. Their defence is a starting point but their lack of experience and fitness are major issues, especially when facing quality opposition. Making their 8th African Cup of Nations appearance, Burkina Faso will have keen eyes on the runners-up spot in the group. The Stallions are a team who have become accustomed to meeting the Ivory Coast in their footballing excursions. In qualification for the 2010 World Cup/African Cup of Nations, Burkina Faso would valiantly go foot-to-foot with Ivory Coast before slipping away, finishing only 4 points behind them. They would then meet in the group stages of the 2010 Cup of Nations where Burkina Faso would hold Ivory Coast to a 0-0 draw. And now they’re set to meet again. The Stallions qualified unbeaten, playing only 4 games due to the withdrawal of Mauritius in their group but scoring an impressive 14 goals in those 4 games. Moumoni Dagano (Al Khor) will be the principle goal threat, he was the top goalscorer during the 2010 World Cup qualification, while the young Alain Traore (Auxerre) offers goals from midfield. Traore, who failed to sign for Manchester United five years ago because of a work permit problem, has scored 7 goals in 17 appearances from midfield for Auxerre in Ligue 1 this season and is certainly one of the younger players to watch out for. Charles Kabore (Marseille) and Jonathan Pitroipia (Rennes) should prove a mixture of venom from midfield and the ability to unlock defences. Paulo Duarte - The Special One? Paulo Duarte, the coach, is known as the ‘Mourinho of Africa’ due to hailing from the same country as Jose and lifting the Stallions from obscurity to 37th in the FIFA rankings at one point. 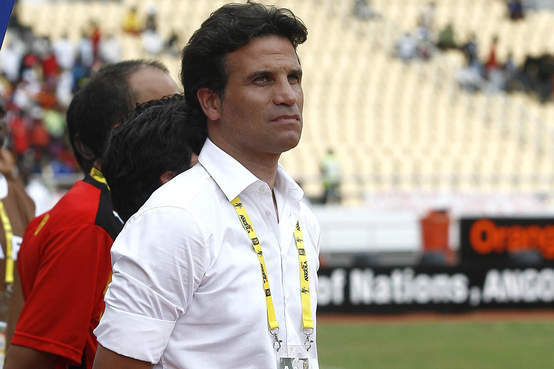 Despite facing problems that are common in African football and face many managers to walk out – lack of financial resources, administration problems – Duarte has chosen to carry on through the hardships and is one of the longest-serving managers at this year’s Cup of Nations. Prediction: Potential ‘darkhorses’. Under the aegis of Paulo Duarte they have a settled manager who should have them well-drilled and prepared even for the bigger teams. Coached by Lito Vidigal, who was a member of the Angola squad in the 1998 Cup of Nations finals, they seek to continue their sequence of consecutive entrance into the knock-out stages. What they have in their favour is experience, they shouldn’t be overawed any longer, despite losing a lot of their experienced players over the last 6 years. Angola made tough work of qualification, a win away to Guinea Bissau on the final matchday clinching their qualification by the skin of their teeth as they pipped Uganda by a solitary point. Goals were scarce – 7 goals – despite being in a group with some lowly ranked nations – Kenya and Uganda. Defensively, there are problems – they conceded 5 goals during qualification, three of them against a Uganda side that struggles for creativity. Attacking wise, they’re solid and their destiny will be largely determined by the form of their strikers. Manucho (formerly of Man Utd, now of Real Valladolid) is the star-man, managing four goals in qualification – more than half of Angola’s goals during qualification. In Flavio (Lierse) they have one of Africa’s most decorated strikers of the 2000s, an instrumental component of Al Ahly’s all-conquering teams, his ability in the air belying his size. Djalma Santos (Porto), who moved to Porto last summer, is another to watch out for. Prediction: Angola will find it difficult to make it out of this group, much will depend on their clash against Burkina Faso. Manucho, at this level, and Flavio are good finishers, but will chances be created for them? Our preview of Group A can be found here. Group C here. Group D here.